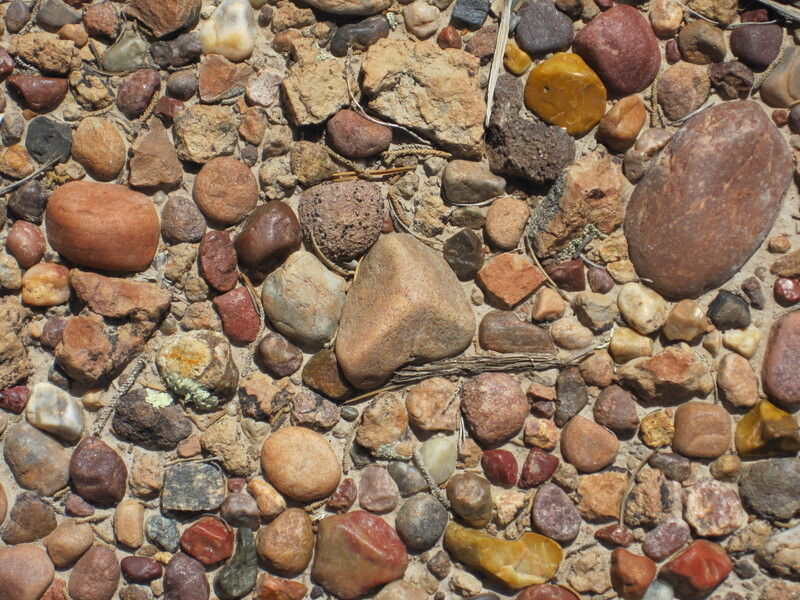 Desert pavement on Penistaja Mesa. Pebbles eroded 65 million years ago from long-lost ranges, tumbled in quick creeks and dropped at the feet of trees in green estuaries. Time and the rains wash away the clays from the polished stone. Here’s where we walk, marveling. But so nurturing for the thin-souled!